The January 2010 issue of the CGS eNews, volume 4, number 1, has been published and emailed to members and friends. As always, the e-News features timely information about the California Genealogical Society and our upcoming events. Each edition also includes Suggested Links From the Blogosphere and a photo feature: CGS Ancestors. 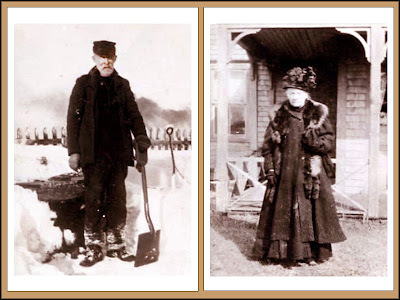 This month's photographs and story were submitted by Jane Knowles Lindsey of her second great-grandparents, Andrew and Matilda "Ellen" (Wilson) Livingstone of McLeod's Crossing, Cape Breton, Nova Scotia. All past issues of the CGS e-News are available for viewing at the eNews ARCHIVE. The Feburay 2010 issue will be e-mailed on 2/1/2010. To receive a copy, please join our mailing list.